CERCA incorporates the vital, and growing, research programs in cosmology and astrophysics in the Departments of Astronomy and Physics at CWRU, along with educational and outreach activities conducted collaboratively between scientists at CWRU and at the Cleveland Museum of Natural History’s Shafran Planetarium. The Standard Model of particle physics is the astonishingly precise and accurate description of how nature operates at short distances. On June 1-4 we celebrate its 50 years of the Standard Model’s success with a symposium bringing together many of the people who shaped it. 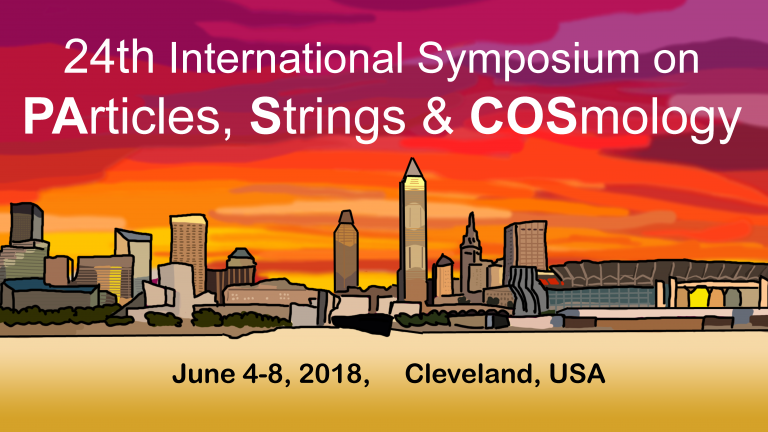 The 24th International Symposium on Particle, Strings, and Cosmology will take place in the physics department at Case Western Reserve University. On June 4-8 we will host this prestigious conference with many world-experts in the field of particle physics and cosmology.